Happy New Year to you all! I have been enjoying this little holiday bloggy break but I am even more excited to get back to the grind and catch up with all of you. I hope everyone had a chance to relax and rest up so that we can all take on the new year with gusto! I thought it would be fitting to have a little look back on the past year to see all of the changes that have taken place on this little blog. I’ve had such a blast indulging in my creative side and sharing it all with you along the way. I can’t wait for what this new year will bring, though. I have so many ideas swirling around in my head and I’ve actually managed to get quite a few of them planned out on paper. 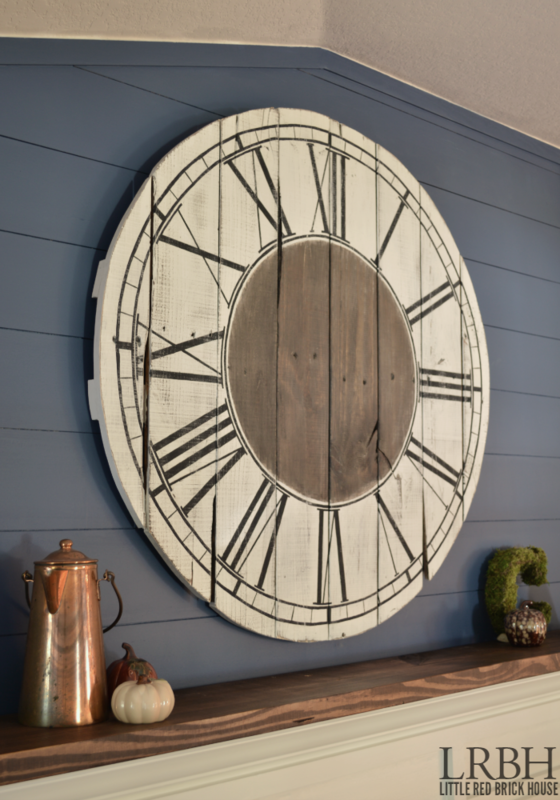 So hang tight because this year is going to be full of projects and makeovers and remodels galore! But let’s not get ahead of ourselves. How about a look at Little Red Brick House’s first year? 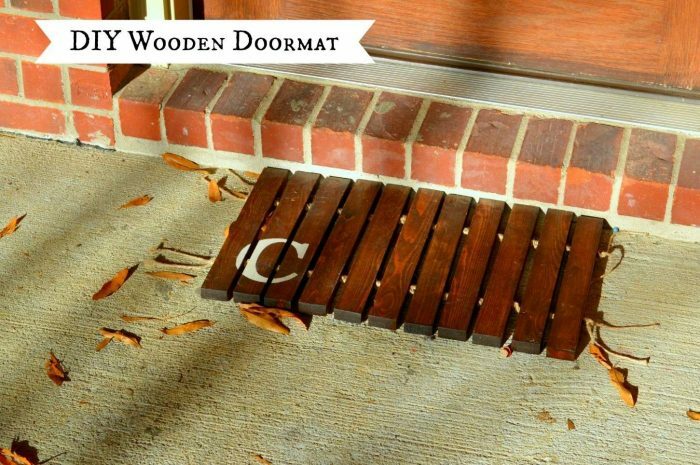 Oh, the little wooden doormat. My very first post. Still love it! 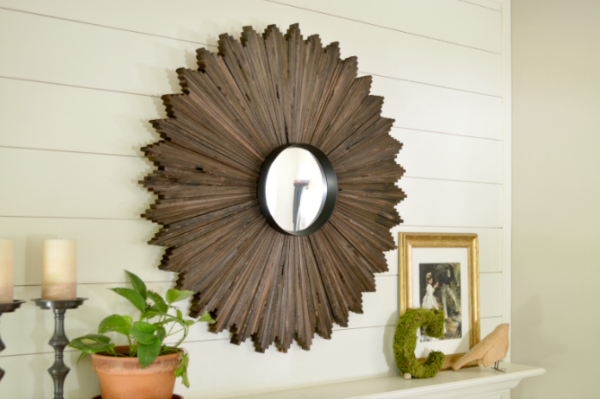 Another reader favorite was my this sunburst mirror tutorial. I absolutely love this piece and it will always be one of my top favorite projects. Along my little blogging journey I have met some amazing other bloggers. We formed a sort of support group (hey guys!) and shortly after, our Monthly DIY Challenge was born. 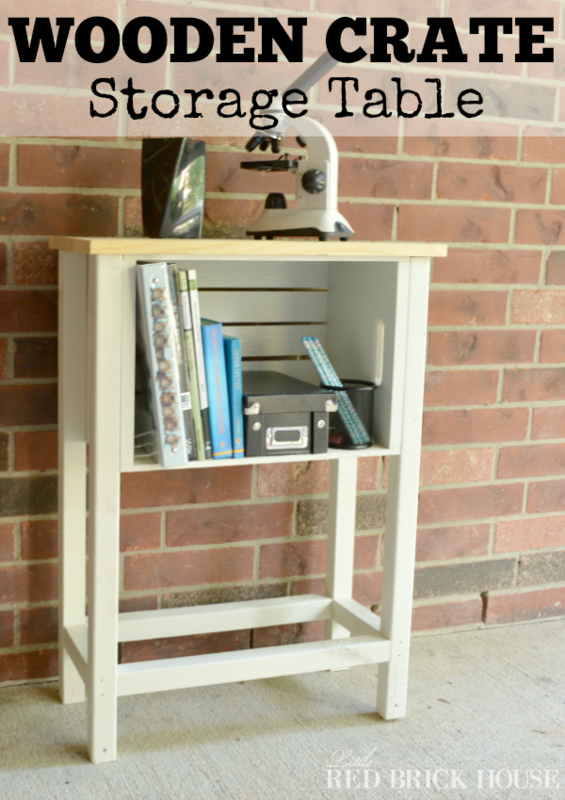 We kicked it off with wooden crates and I transformed mine into a storage table. Fall came around and I tried my hand at some holiday DIY decor. These Black Cat Silhouettes were an easy and fun creation. 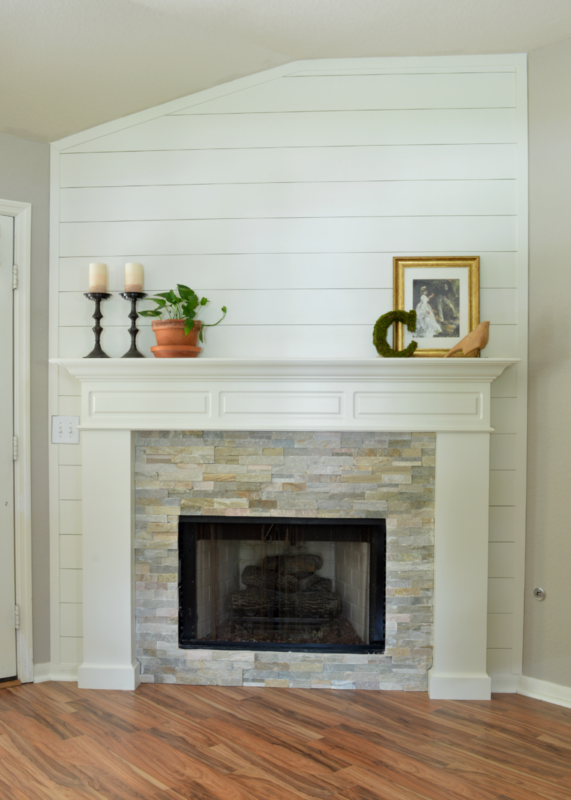 After blogging for quite a few months I started to finally come into my own and decided to take my fireplace to where I had envisioned it in the first place. I’m so happy I went with my instincts and didn’t let the boldness of it hold me back further. 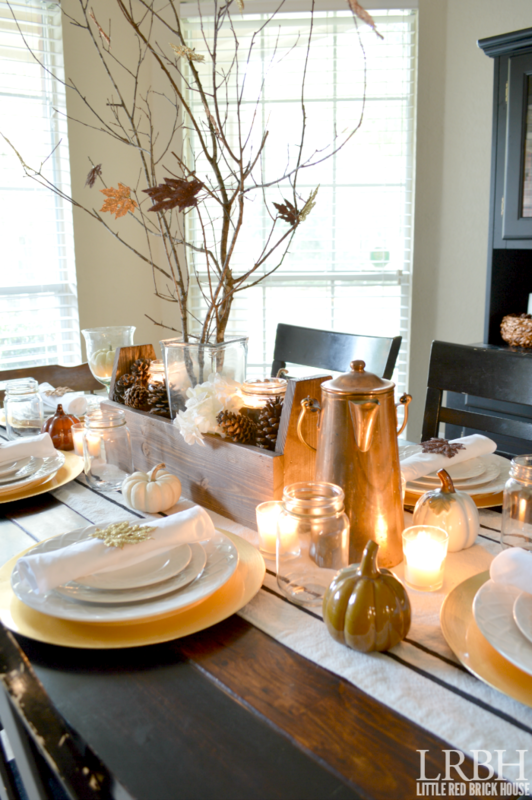 My first ever (literally) holiday tablescape came about when I jazzed up the dining table for Thanksgiving. 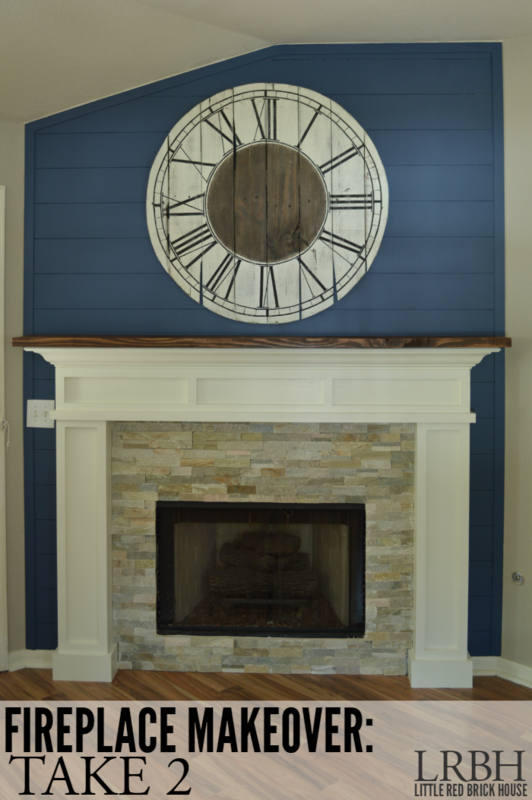 I was amazed at what a few cheap decor items and some things gathered from around the house and yard could create. This piece was a long time in the making. As soon as I saw the inspiration piece on Pinterest I knew I had to have this clock in my life. It only took me 5 or 6 months to get around to posting it. Oy! Christmas brought about a whole host of DIY projects. 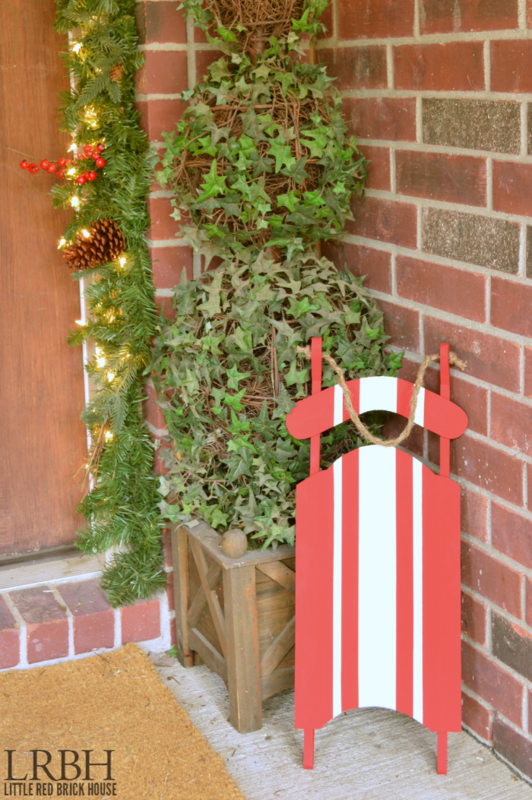 This little grain sack sled was such a fun one and I can see it returning in my Christmas decor set up for many years to come. 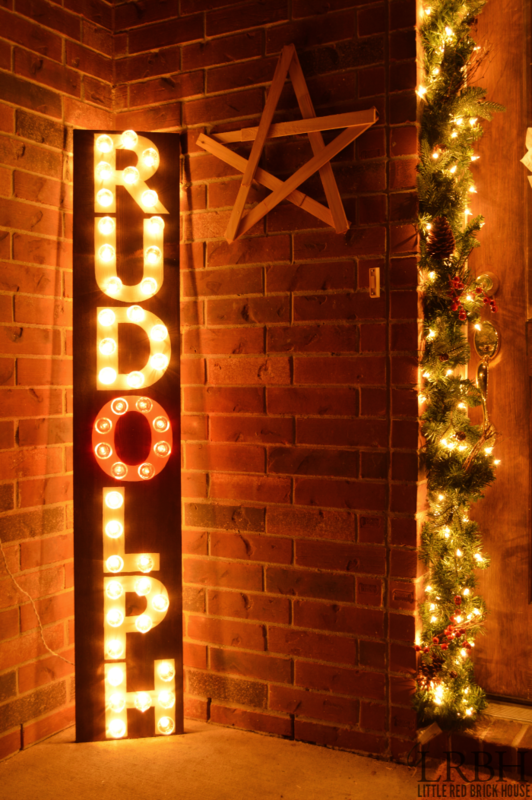 My favorite Christmas project, though, was the DIY Rudolph Marquee Sign made from clear ornaments; another Monthly DIY Challenge creation. 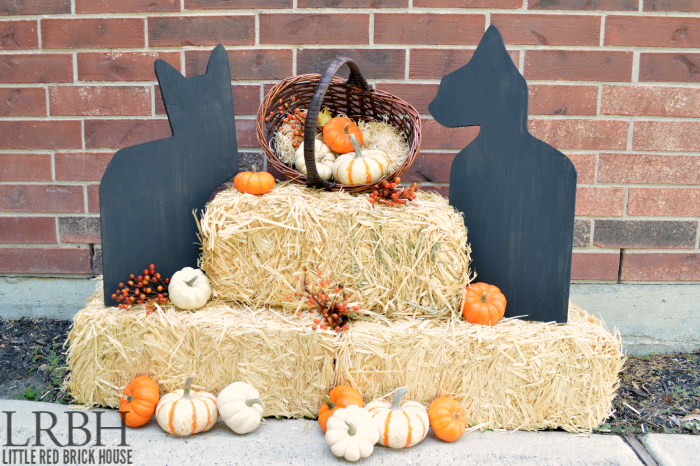 I love it so much I am thinking of making a couple more for other seasons or just to have around the house year-round. Happy New Year to each and every one of you. May this year bring you many blessings! I feel SO lucky to have found such a talented and supportive bloggy friend! LOVED following along with your adventures and cannot wait to see what 2015 has in store for us!!! Aww, Erica! I love youuuuu! We have a stellar group of girls don’t we? 🙂 I’m looking forward to taking on this new year with you gals by my side. Thanks for all of the encouraging words!